We are delighted to announce the launch of the new Sydney Charles Aviation Insurance Brokers website. As one of Europe’s leading aviation insurance brokers, the Sydney Charles Group wanted a new website dedicated solely to its aviation insurance offering. 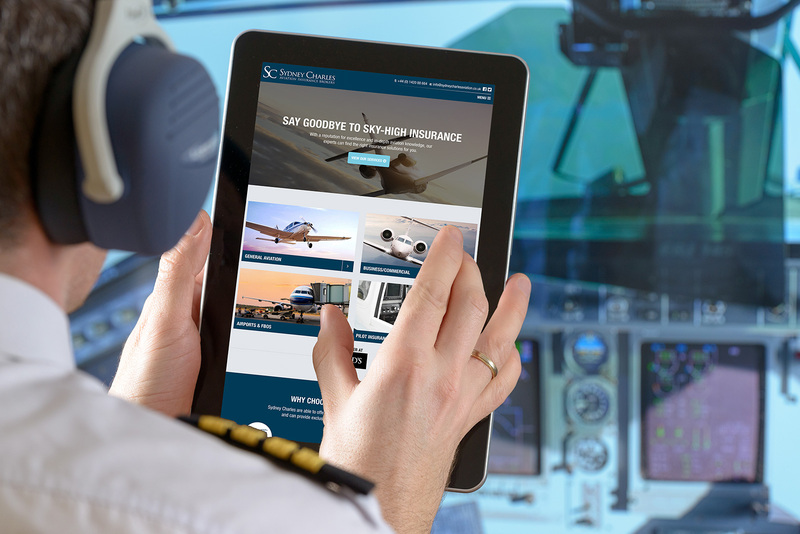 We were asked to design and develop a new website that would showcase the wide range of aviation insurance services on offer as well as instilling confidence in both new and existing clients wishing to purchase these products and services. Using a modern design and slick user interface, the website makes it extremely easy to find information on all of the services and policies available, whilst at the same time continually reinforcing why the Sydney Charles Group are market leaders when it comes to aviation insurance. The new website is also fully responsive and is powered by a bespoke CMS built on the WordPress platform, making it incredibly easy for the Sydney Charles Group to add, edit and manage any piece of content on the website.